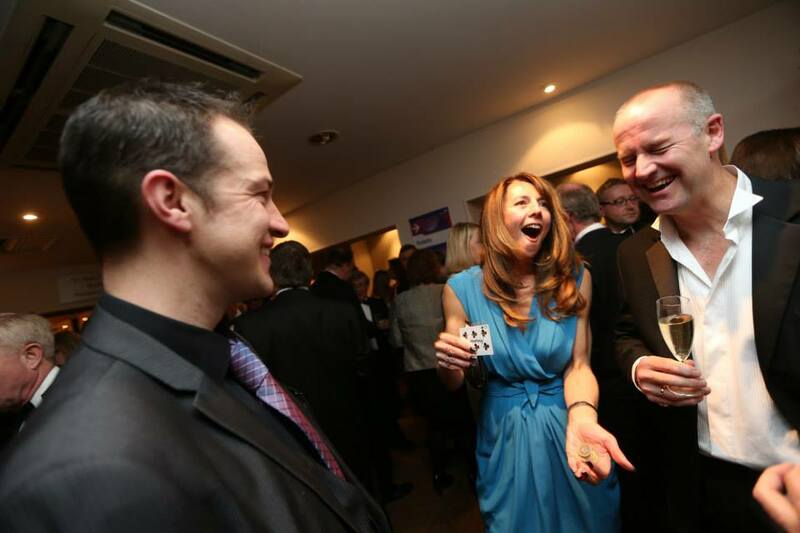 Magician in Cheshire for weddings, parties and corporate events. 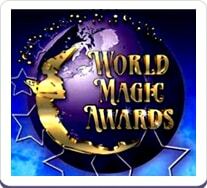 Magician In Cheshire, Nick Rushton specialises in close-up magic, table magic and mind reading which can be performed virtually anytime anywhere. Mind-blowing, close up illusions performed right under your nose always creates a fantastic atmosphere at weddings, parties and corporate events! 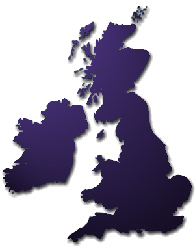 Hire A Magician In Cheshire with over 20 years experience! 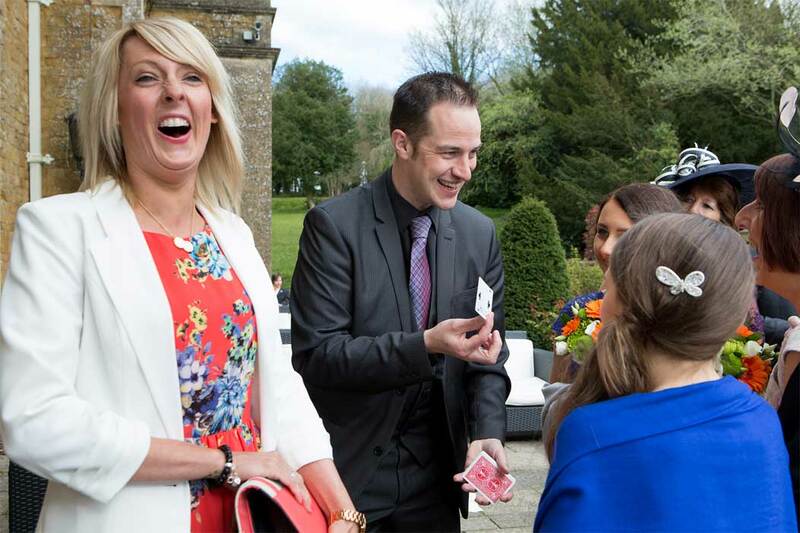 Performing professionally as a magician in Cheshire, Nick will ensure everyone is thoroughly entertained at your event – he is extremely reliable, highly skilled and very friendly too. As part of his unique routine, signed cards appear in impossible locations, coins completely vanish and cutlery seemingly melts before your eyes. Cards, mobile phones, borrowed rings, elastic bands and other small objects are used in sleight of hand and mind reading effects to amaze and astound everyone present. Throughout Nick’s routine – there is lots of audience participation and many laughs along the way! Everything is presented in a funny and lighthearted, yet absolutely astounding manor! The routine is fast paced, extremely visual and very exciting to watch. 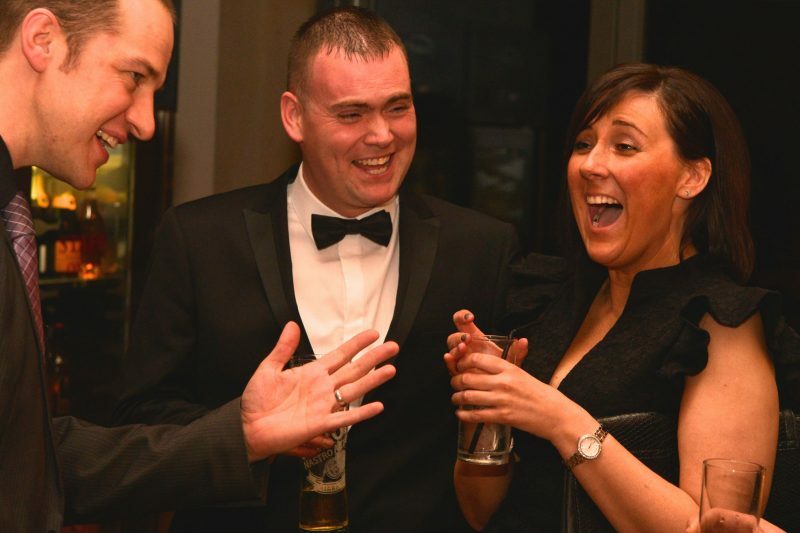 If you want to hire a magician in Cheshire, look no further than Cheshire’s No.1 Magician Nick Rushton – 1000’s of clients agree – why not read the feedback! 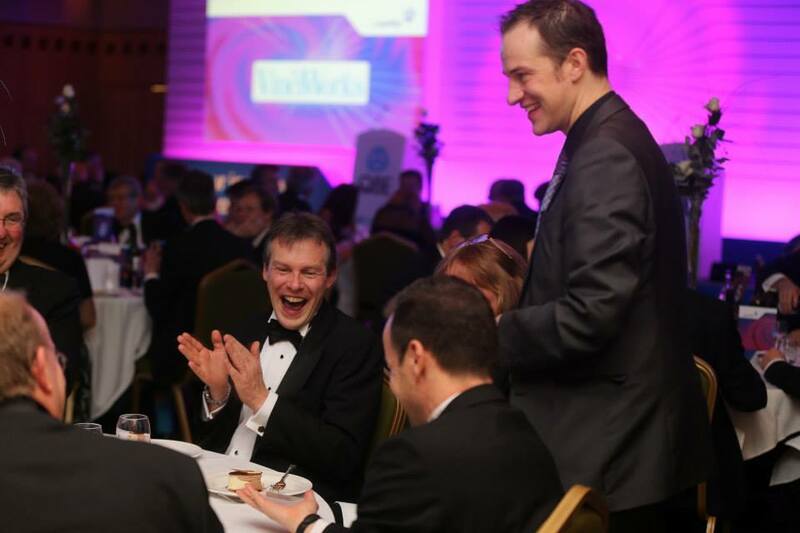 Nick lives on the Cheshire border and travels all over the UK, so if you would like THE most amazing wedding magician, party magician or corporate magician – get in touch today! Nick’s approach is lighthearted, brilliant fun and nobody is ever made to feel embarrassed or uncomfortable. His amazing magic is coupled with comedy one-liners guaranteed to thoroughly entertain all ages. 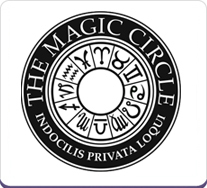 If you are looking to hire a close up Magician in Cheshire and have started to surf the internet in search of the perfect conjurer, it is important to keep in mind that although any “Magician in Cheshire” website may look fancy, the performance may not live up to your expectations. 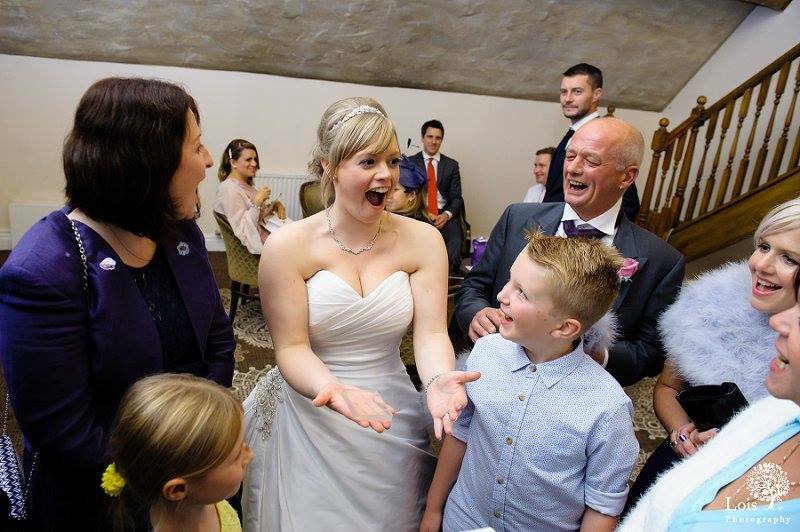 This is why it is vital to read reviews and watch unedited “live” video footage to get a good idea of what you’ll actually get on the day at the event, that way you can hire a magician in Cheshire with confidence. Also get in touch to have a conversation by phone or email to chat about your requirements – you will find Nick to be very polite, extremely helpful, knowledgeable and extremely friendly as well as being professional and efficient. Clare Warr – 50th Birthday Party in Prestbury, Cheshire sk10.